The Ampere Creations Dana Hobo Crossbody bag is made from our new and improved signature soft vegan leather and features our classical hobo design with a single main compartment closure. Accented with gun metal hardware and gun metal studded laces. This hobo crossbody is super soft but still holds its structure. Thus this bag is not only functional but versatile as well. This hobo features one top zipped closure and a back zipper pocket. The strap can easily be removed to be used as a crossbody bag and it is also adjustable up to 24 inches. 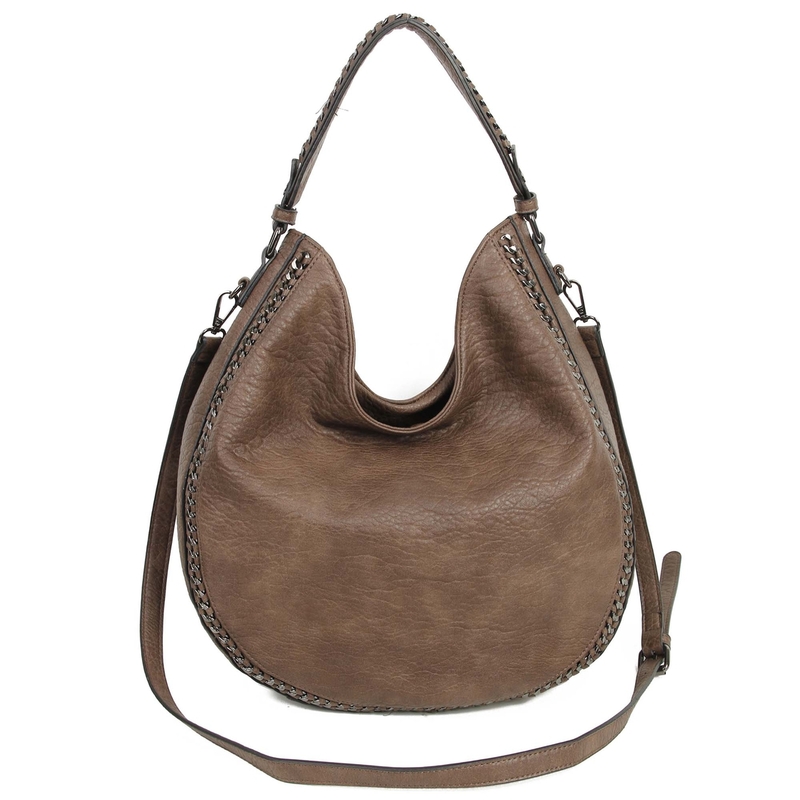 •	This hobo has a beautiful gun-metal toned hardware stitching and a top zipper to hold things together. The back of the bag has a zipper pocket. •	The roomy single compartment interior has 2 front wall pockets and a back wall zipper pocket and also a back zipper to secure your personal belongings.